According to the World Health Organization, depression impacts more than 300 million people each year. Anyone that has suffered from depression or witnessed a loved one or friend with the condition knows how devastating it can be. In its mild forms, depression can lead to interruptions in the ability to work and live a normal life. At its worst, depression can lead to severe and debilitating consequences and sometimes suicide. With these startling statistics, more people are beginning to look at CBD oil for depression. This new compound shows an enormous amount of potential in aiding those with depression. Along with depression, anxiety is another mental disorder that impact 264 million people every year. According to the Anxiety and Depression Association of America, nearly one half of all people that are diagnosed with depression also get diagnosed with anxiety. These two mental health conditions appear to go hand in hand. In this article, we will examine the root causes of both depression and anxiety, give a detailed explanation of CBD, and explain how CBD may be a beneficial compound in treating and assisting those with both depression and anxiety. Depression is a type of mood disorder. It has the potential to interfere with daily life, work, and relationships. It can result in the loss of time, productivity, and general life dysfunction. People experiences depression in different ways. 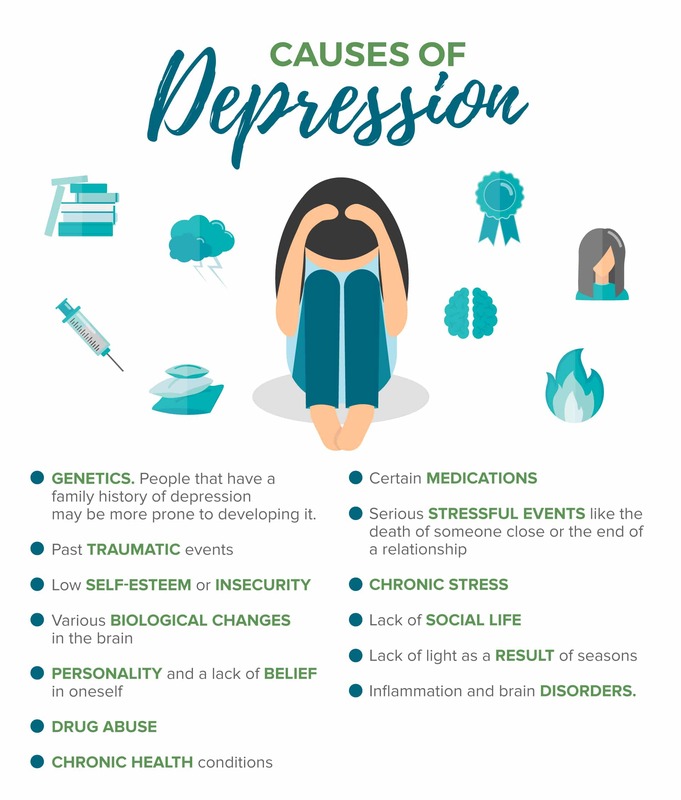 Not only does depression harm your mental state, it can also exacerbate the problems of other chronic conditions like arthritis, asthma, cancer, diabetes, and many other health conditions. While everyone will feel down or not quite themselves at some point in their lives, this is not the same as depression. Consistent feelings of misery and hopelessness are not a normal part of life. Depression can last for weeks, months, or even years if left untreated. Depressed mood throughout the day as observed by others. Loss of interest in pleasurable or interesting activities throughout most of the day and on most days. Difficulty sleeping or sleeping too much. Feeling “slowed down” or the observation by others of slower than normal movements. Feelings of excessive guilt or meaninglessness in life. Consistent thoughts of death or suicide ideation. Genetics. People that have a family history of depression may be more prone to developing it. There is not one root cause of depression and for many people multiple issues can combine to form a depression. Why Can CBD Oil Help With Depression? CBD oil is one of the main compounds found in the cannabis plant. In recent years, it has grown in popularity thanks to significant numbers of studies that indicate many health benefits including the treatment of depression and other physical ailments. Many studies indicate the CBD capsules may be a potent option in alleviating the symptoms of depression and potentially treating it. In a review published in Surgical Neurology International that examined all of CBD’s potential benefits, depression was noted as one of the conditions that CBD holds the potential to treat. 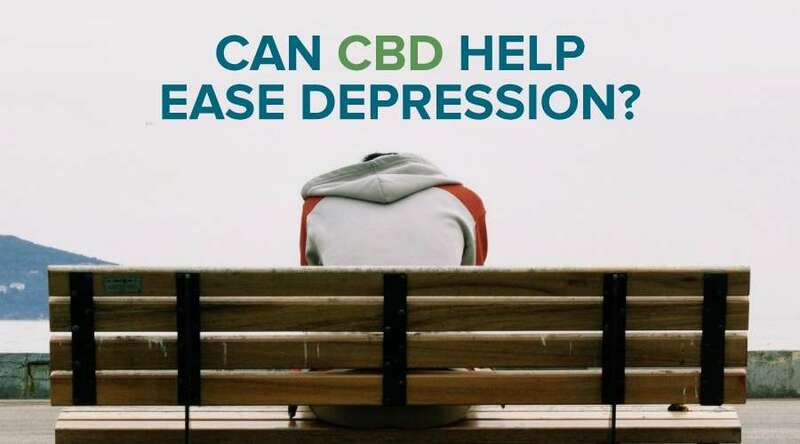 There are many different reasons that CBD may hold potential in treating depression and assisting those who are suffering. We’ve broken some of those reasons down below. The endocannabinoid system, or ECS for short, plays a key role in mitigating the effects of depression. It is responsible for many different aspects of neurotransmission, neuroendocrine, and inflammatory processes. In a paper published in Molecular Medicine Reports, each of these processes becomes damaged in those with depression. CBD is known to boost the functioning of the endocannabinoid system. It works on the enzymes within the ECS that are responsible for uptaking the body’s own endocannabinoids. With more endocannabinoids present, the ECS can function at an optimal level. 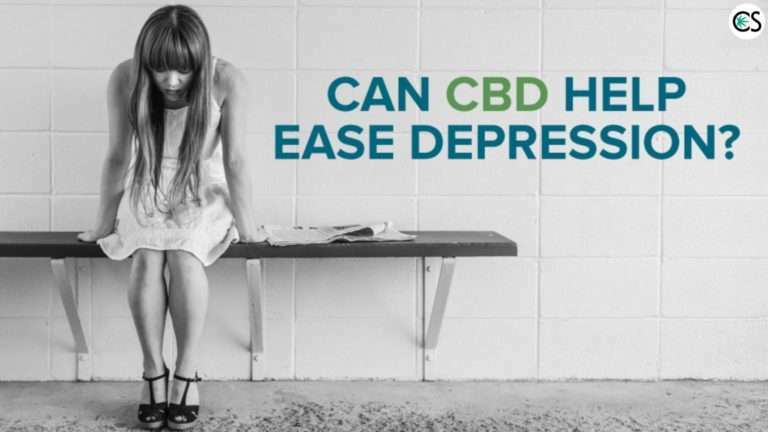 Because the ECS exhibits significant effects on the processes that are damaged in patients that suffer from depression, it is possible to conclude that CBD holds potential in treating depression. A review published in Behavior Pharmacology examined the signalling capabilities of the endocannabinoid system in patients who were depressed against those that were healthy. It found that those that were depressed showed a type of impairment in the functioning of their endocannabinoid systems. There is also significant evidence to suggest that one of the main receptors in the endocannabinoid system, the CB1 receptor, plays a significant role in depression. 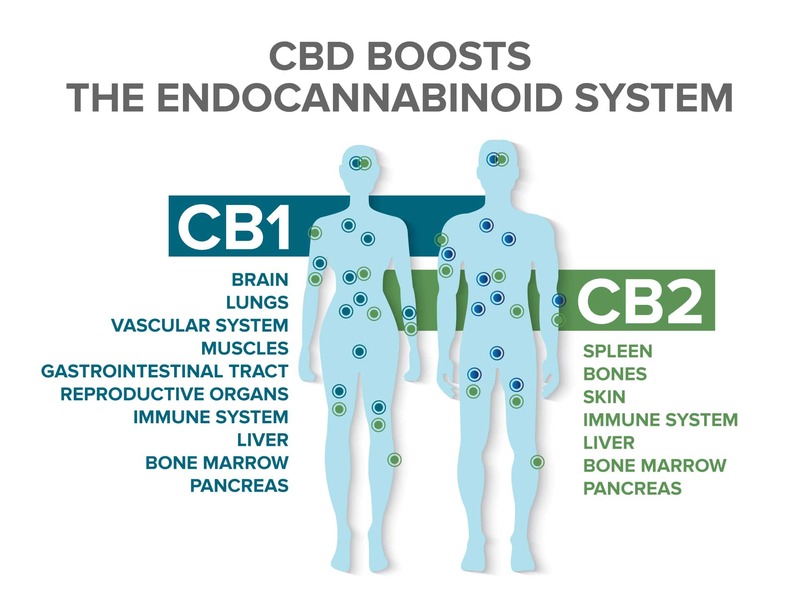 In the same review from Behavior Pharmacology, the authors examined studies in which the CB1 receptor in the endocannabinoid system was blocked. They found that by blocking this receptor, patients exhibited symptoms that were similar to depression including a reduction in appetite, increased anxiety, and sensitivity to stress. The similarities between the symptoms resulting from a blockage of the CB1 receptor and depression symptoms lead the authors of the paper to conclude that enhancement of the endocannabinoid system may present a potential form of treatment for depression. CBD is known to boost the functioning of the endocannabinoid system, which makes it a perfect option for those suffering from depression. Another study examined the ways in which slight genetic defects in the CB1 receptor could impact the susceptibility to mood disorders such as depression and anxiety. It discovered that those patients that exhibited slight genetic alterations in the CB1 receptor were more susceptible to developing a mood disorder. There is clear evidence to suggest that dysfunction in one of the primary receptors of the endocannabinoid system lead to depression. While CB1 receptors are an important part of the depression equation, other factors may also play a role. One of the key causes of depression can be the stress that comes from daily life. Acute or chronic stress can many times lead to both depression and anxiety. A study in the British Journal of Pharmacology discovered that CBD may reduce the typical responses to stress in rats. Scientists conducting the study subjected rats to various stressful experiences including an elevated maze test, an animal model for testing stress, and periods of restraint. Researchers examined the rats responses to these stressful events. One group of rats received CBD while another received a placebo. The researchers discovered that the stress responses of the rats that received CBD were significantly lower than the rats that did not. This lead them to conclude that CBD may have the potential to reduce general stress responses. Another study tilted “Beyond the CB1 Receptor: Is Cannabidiol the Answer for Disorders of Motivation?” looked at the ways in which CBD’s effects on stress could result in less anxiety and depression. 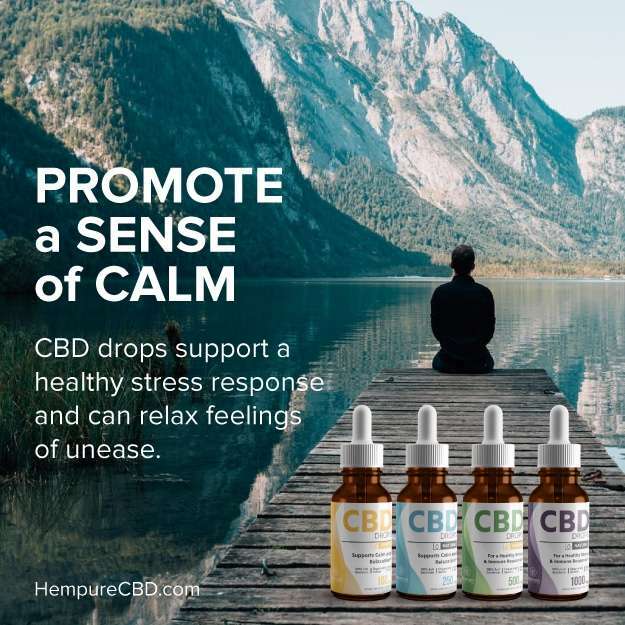 They concluded after examining multiple studies that the potential of CBD to reduce stress could lead to a reduction in depression symptoms. Another way that CBD holds promise in helping those with depression is the mechanism through which it promotes hippocampal neurogenesis. Hippocampal neurogenesis is the growth of new neurons within the hippocampus of the brain. A study published in Neuropsychopharmacology looked at the ways in which increasing adult hippocampal neurogenesis could alter the effects of both anxiety and depression. They found that by increasing the amount of hippocampal neurogenesis, symptoms of anxiety and depression were reduced. In a study where two groups of mice were exposed to constant and repeated stressors, the group of mice that received CBD showed marked decreases in both depressive and anxiolytic symptoms and also experienced hippocampal neurogenesis. 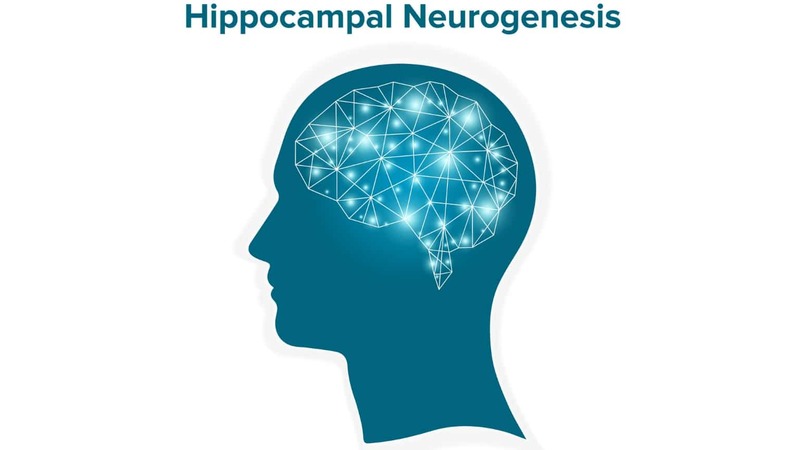 A review of all the research surrounding hippocampal neurogenesis and cannabinoids came to the conclusion that the endocannabinoid system and its receptors play a major role in triggering neurogenesis. The review, published in the British Journal of Pharmacology, looked at the various stages of neurogenesis and sought to gain a better understanding of how the body’s own endocannabinoids and plant cannabinoids could play a role in neurogenesis. While the review did not determine the exact mechanisms by which CBD and endocannabinoids impact hippocampal neurogenesis, it did conclude that impaired neurogenesis is a trigger for both depression and an impairment to brain functioning. This lead the authors of the study to conclude that CBD and the alteration of the endocannabinoid system had tremendous potential in treating and aiding those with mood disorders like depression. While it is still uncertain as to whether inflammation is an actual cause of depression, there is research that suggests that inflammation may be a key predictor as to whether or not other depression treatments will work. One study examined the impact of inflammation on treatment resistant depression. It discovered that 45% of those suffering from treatment resistant depression were also suffering from inflammation. Another study discovered that markers of inflammation could be used as a reliable predictor of whether or not standard antidepressants would be effective. Researchers could look at how much inflammation a patient had and accurately predict if an antidepressant would work as a treatment. In a study titled “Cannabinoids as novel anti-inflammatory drugs,” researchers analyzed the ways in which CBD and other cannabinoids could reduce or impact inflammation throughout the body. They came to the conclusion that CBD can act as an anti-inflammatory substance throughout the body. More research is needed into the ways in which the inflammation that CBD targets impacts depression. However, because inflammation is a key indicator of whether or not antidepressants will be effective, there is reason to believe that CBD may have the potential to aid in the treatment of depression through its reduction of inflammation. At its worst, depression can lead to suicidal ideation and sometimes suicide. As antidepressants have not totally solved the problem of depression, finding new and novel ways to treat this condition is a matter of life and death. According to the American Foundation for Suicide Prevention, over 50 percent of all people who die by suicide suffer from major depression. If alcoholics that are depressed are included, that statistic jumps up to over 75 percent. Suicide is the 10th leading cause of death in the United States. These tragic numbers illustrate the severity of the problem and the urgent need for a solution. In a study titled “High on Life? Medical Marijuana Laws and Suicide,” researchers examined the correlation between states that had legalized cannabis and suicide rates. They found that in states that had legalized cannabis, suicide rates for males between the ages of 20 and 29 fell by 11 percent, suicide rates of males between 30 and 39 fell by 9 percent, and the overall suicide rate fell by 5 percent. When states legalize cannabis, the consumption of alcohol tends to drop along with the rates of depression. The authors of the study believe that the legalization of cannabis may lead to this reduction in suicide because of the ways in which cannabis impacts depression and reduces the consumption of alcohol among males. This is only one study and more research is needed on the topic. However, it does show exciting promise for the mental health benefits that both CBD and the cannabis plant hold for those suffering from depression. Depression harms more than 300 million people throughout the world each year. With these alarming statistics, many companies and scientists are seeking out new and novel and ways of curing this debilitating and mysterious mental condition. CBD oil for depression is one of the newest and most popular options for those looking for an alternative to pharmaceutical intervention. CBD helps those with depression in a number of ways. CBD boosts the functioning of the endocannabinoid system which is an integral part both physical and mental health. CBD shows promise in inducing hippocampal neurogenesis, a type of brain cell growth that some studies indicate may lead to a lessening in the symptoms of depression. CBD also reduces inflammation. While inflammation may or may not be a direct cause of depression, current data indicates that inflammation may reduce the efficacy of some of the most common treatment options. CBD is not a definitive answer to depression as the research on this exciting compound and its impact on depression is still in early phases. As more research is done, CBD may become one of the best options for those suffering from depression. Hopefully this natural plant-based compound may help scientists and doctors decipher this worldwide mental health scourge.